This is probably one of those things you never knew you needed until you saw it, and as soon as you saw it, you thought of a 100 ways to use it. 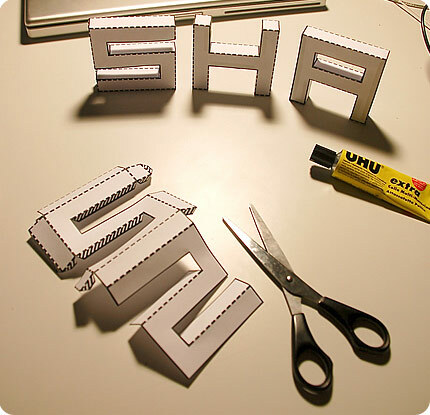 This font gives you cut-outs that let you build 3D pixel style letters, perfect for creating a sign to display upright on a table, gluing to a poster, or to give to students to spell different words for a game or lesson opener. Print it out. Cardstock probably works best. Stick them together and there you go! If you’re unsure how to install a font, here’s how to do it on Windows and here’s how to do it on Mac. Join us for LIVE YM Talk this Monday, January 19! We’re discussing, “How to connect God’s Word with students who appear disconnected, apathetic, and distracted.” Our guest will be E.J. Swanson, a national speaker at teen conferences, camps, and retreats. We’d love to have you join us! The live conversation starts at 2:00 PM eastern time! See our LIVE YM Talk page for details.